BDN reporter Aislinn Sarnacki sits in this 2016 file photo at an overlook atop Pleasant Pond Mountain on the Appalachian Trail near Caratunk. For anyone who has read or seen one of Bangor Daily News reporter Aislinn Sarnacki’s many columns, videos and blog posts about her adventures in the Maine outdoors, it may come as a surprise to learn that she has not always been a fan of hiking. In fact, it wasn’t until Sarnacki, 30, was in college that she became a hiking enthusiast. After receiving a diagnosis of clinical depression and anorexia nervosa, Sarnacki found that spending time outdoors had huge mental, physical and emotional health benefits for her, and she wanted to share what she had learned with others. It’s not an exaggeration to say that she has succeeded. Cover image for "Maine Hikes Off the Beaten Path" by Aislinn Sarnacki, published June 2018. 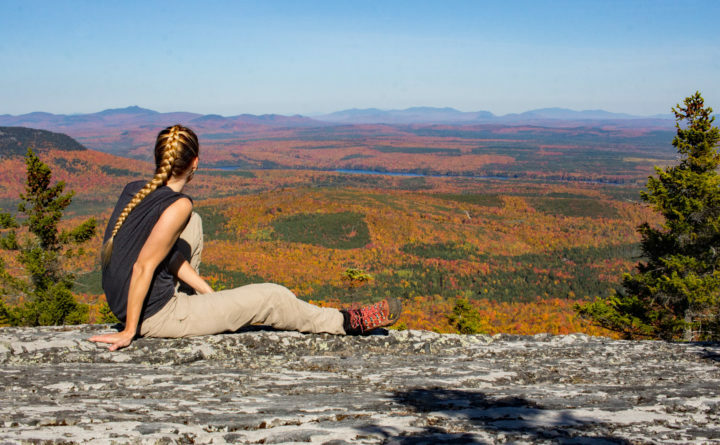 “Recently, I did a guided hike with women [at] Becoming an Outdoors-Woman in Maine. There was an older lady in the group who hadn’t hadn’t been hiking since she was gosh, 17 or so. She was so excited to be in the woods. 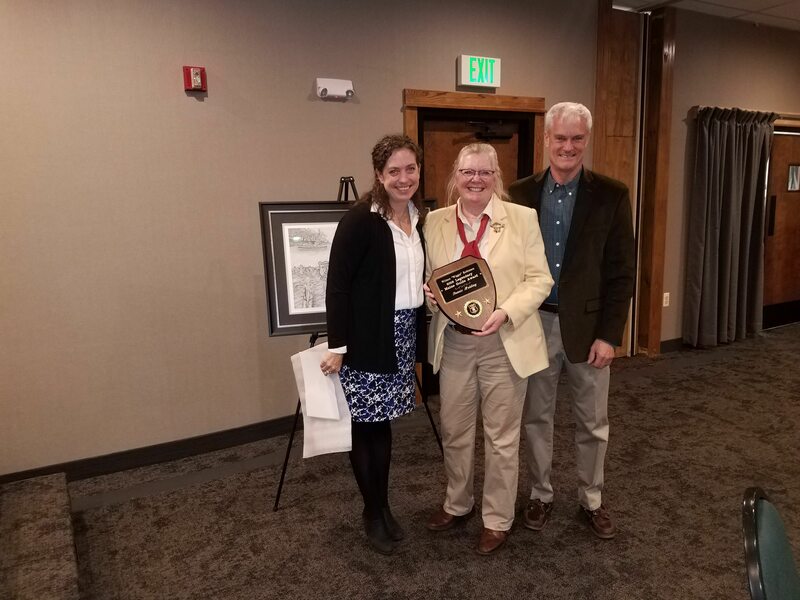 It’s really nice to see that I can encourage people, and give them the tools they need to get out there and have their own experiences,” Sarnacki said. The idea for her new book stemmed from a 2015 “Act Out with Aislinn” blog post, entitled “Lesser-known Maine hikes (that are awesome! ).” The subject wasn’t just near and dear to her heart — it also struck a chord with her readers. Maine is a state with scores of beautiful places to hike, but lots of people tend to stick with popular destinations such as Mount Katahdin and the Precipice and Beehive trails at Acadia National Park. In Sarnacki’s second hiking guidebook, she wanted to showcase more of the lesser-known trails that wind up wild mountains, wend along scenic riverbanks and traipse through quiet woods throughout the state. Altogether, she chose 35 hikes, including Rumford Whitecap Mountain in Rumford, the Canal Path in Searsmont, John B. Mountain in Brooksville, Black Mountain Cliffs in Franklin and Orin Falls in Katahdin Woods and Waters National Monument. To the reader, though, it seems quite comprehensive. In both her new book and her previous guide, “Family Friendly Hikes in Maine,” published a year ago, she shares the helpful tips she has learned over the years along with detailed information of each trail. Her descriptions of the hikes start with information about how difficult they are, whether dogs are allowed, how to get there and how to access the trails (hikers also will find the maps and GPS coordinates useful). But it’s her friendly, conversational writing style that keeps readers coming back, letting them feel almost as if they were hiking right along with her, her husband Derek Runnells and her dog, Oreo. She also punctuates the pages with vibrant color photos of the trails, the flowers and wildlife she spots and beautiful vistas from the summits. And she really does dig into lesser-known adventures. Some of the hikes she features are located in far-flung corners of the state, such the Moosehorn National Wildlife Refuge Baring Division in Washington County and Lobster Mountain in Piscataquis County’s remote Lobster Township. But others are hikes that seem almost to be hiding in plain sight, including the Jordan Cliffs Trail in Acadia National Park. The park, especially the portion located on Mount Desert Island, can get crowded in the summer months. But this particular trail does not, she has found, even though it features iron rungs, just as the Precipice and Beehive trails do, as well as dramatic views of Jordan Pond, Seal Harbor and the Cranberry Islands. Through her book, she wants more people to know that they can find this and other lesser known hikes, and have a great time while they’re at it. 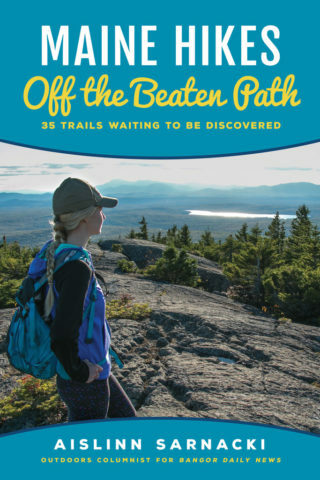 “Maine Hikes off the Beaten Path” is available at bookstores throughout Maine. A book launch party is planned for 5 to 7 p.m. Thursday, June 7 at Epic Sports in downtown Bangor.